Are you ready to make web development great again? Learn Ember.js through a series of chapters tightly narrated by the natural progression of building a real-life web application. I want to learn Ember.js! I’ve read many Ember.js books but yours is a refreshing departure from the norm with a well thought out flow through it. Ember.js continues to be an antidote to the insane front-end ecosystem. 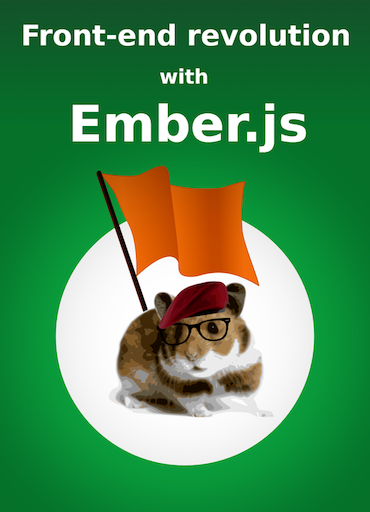 Let this book convince you it's worth building your next rich web application with Ember.js! This book will help you get ready to start tackling advanced and complex Ember projects out in the wild. While going through logically sequnced chapters narrated by the natural progression of building a real-life web application, you'll learn all about the Ember's concepts and structures that are used in every Ember application. 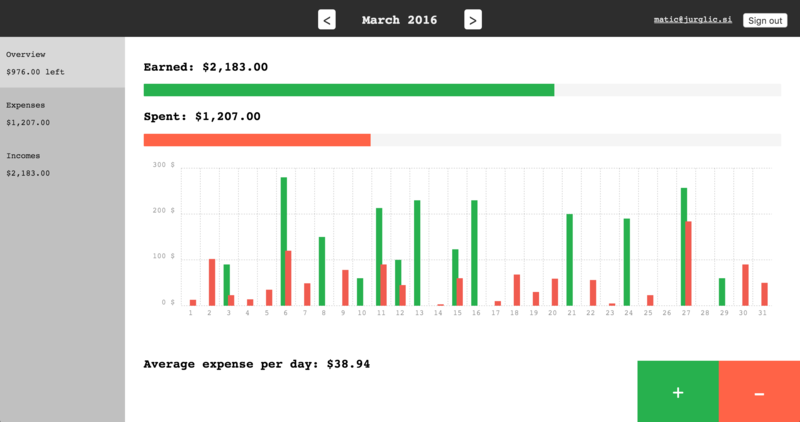 We're building a simple expense tracking application with a great authentication mechanism, which you can re-use to jump-start your next ambitious web app. This book is filled with helpful advice, production tips, insights on Ember's future developments, common mistakes, what-ifs, and links to credible up-to-date resources. You'll get a fully configured back-end API written in Ruby on Rails providing OAuth2 authentication and JSON API. For your convenience, there is also a deployed cloud API available. Just wanted to let you know that your book helped and continues to help me a lot. I love how you go into detail about how one could go about doing something incorrectly then provide steps on how to solve those problems. The book’s knowledge assisted the development of a school district’s portal which gets hundreds of thousands of hits. With Ember.js we've reached a plateau and finally found the right way to do web applications. What I like the most in the book is the excellent ratio of text, pictures and code which all together gives a great overview of Ember.js. Definitely recommended. The book is continuously updated when Ember ships new features. Every reader will get an updated version once it is published. Send me the sample PDF No spam, I promise. This is for only students and people who are struggling to make ends meet. Shoot me an e-mail with a good reason why you deserve a discount, and we'll figure something out. 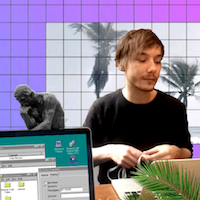 Matic Jurglič is computer person who specializes in implementing avant-garde internet applications. Worked and continues to work on a variety of Ember applications and add-ons. Interested in web development, people and fine arts. Just wants people to learn Ember.js. I would love to receive any kind of feedback, questions or just chat. Send me an e-mail and visit my website.